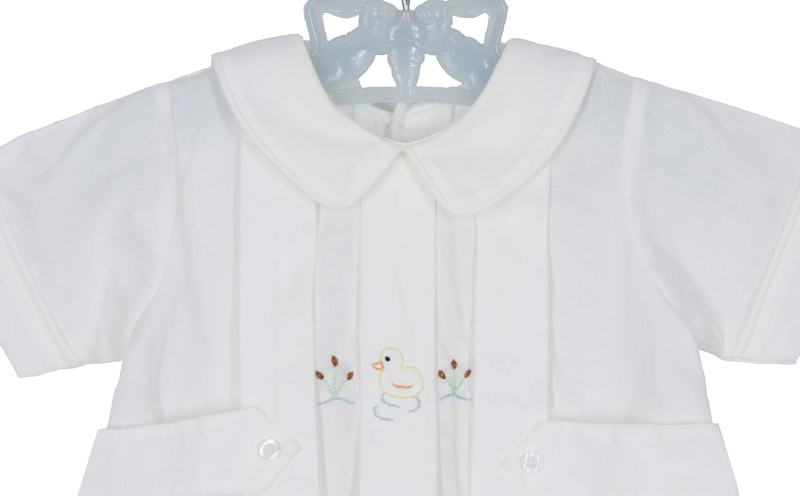 This antique white soft cotton romper is made by Remember Nguyen (Remember When), a leading manufacturer of classic children's clothing. 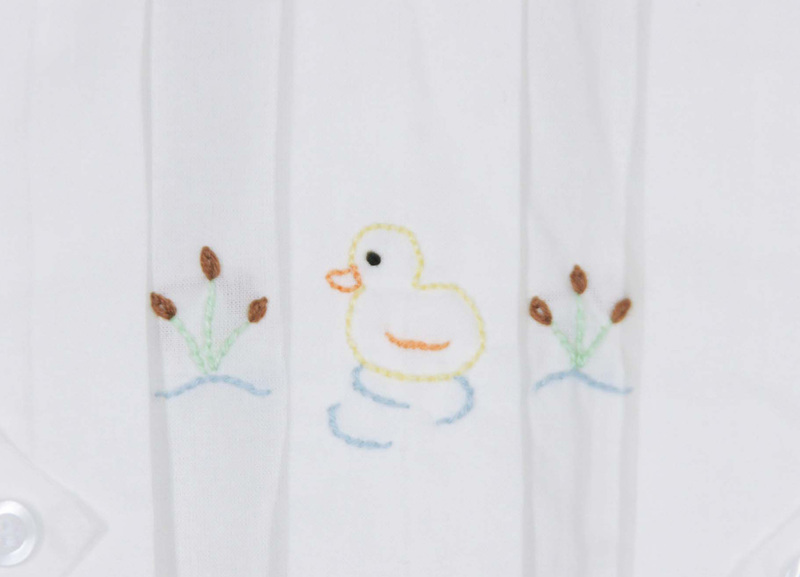 Perfect for Easter or for bringing your new baby boy home from the hospital, the romper has front pleats centered with embroidered ducks. 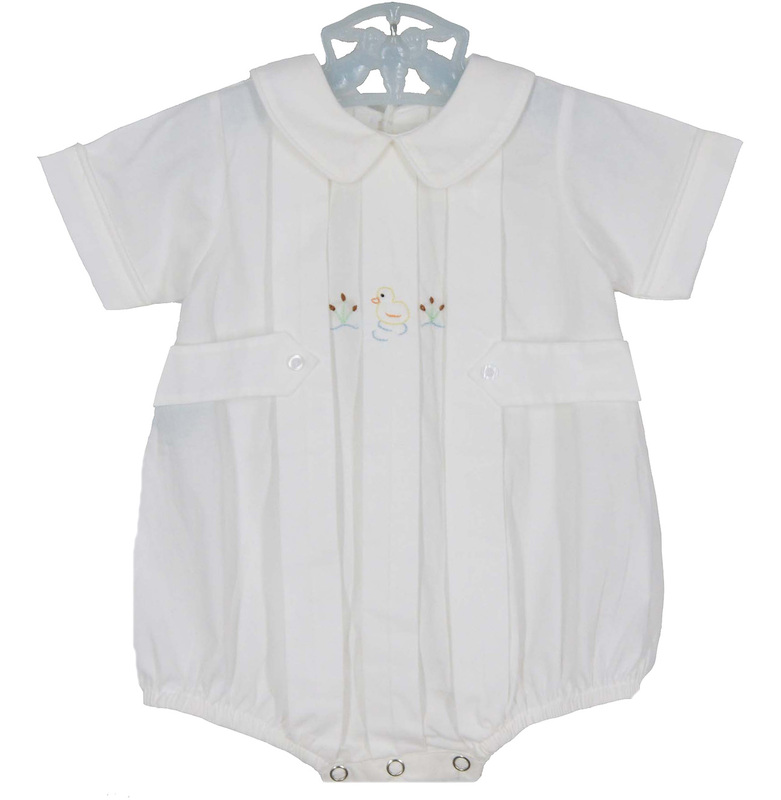 Buttoned front tabs accent the romper. It buttons in the back and snaps in the crotch for easy changes.